Effective partnerships between governments, universities, and businesses may solve problems such as neglected tropical diseases, antimicrobial resistance, non-communicable diseases and other challenges to Global Health. Pakistan has ordered over 20 foreign aid groups to cease operations by February. This has caused panic and confusion among the non-profit community. Yale University has approved the creation of the Yale Institute for Global Health (YIGH) led by the health sciences schools of Medicine, Nursing, and Public Health. Estimates of influenza-associated mortality are important for national and international decision-making on public health priorities. Previous estimates of 250 000–500 000 annual influenza deaths are outdated. We updated the estimated number of global annual influenza-associated deaths using country-specific influenza-associated excess respiratory mortality estimates from 1999–2015. Effects of Ebola virus has been studied four decades after infection using blood samples and health history reports from 14 survivors of the 1976 Ebola outbreak. The findings show that the survivors may be able to stave off future infection. A new experimental vaccine has been shown to induce antibodies against heroin and prevent the drug from crossing the blood brain barrier in mice and rats. Drug resistance is still the main concern for health authorities in Cambodia, China, Laos, Myanmar, Thailand and Vietnam. Yesterday, representatives from these countries called for accelerated action to eliminate malaria in the Greater Mekong Subregion (GMS) by the year 2030. If a new flu pandemic emerges, it may be easy to spot. The epidemic is most likely to appear in spring or summer, researcher have found — not in the midwinter depths of the flu season. With the introduction of a highly effective vaccine in the 1920s and early ‘30s, diphtheria faded away in much of the world. Today it’s largely considered a disease of the past. But now it’s back in the headlines, spreading quickly in places like Bangladesh and Yemen. The World Health Organization says Uganda has successfully controlled a deadly outbreak of Marburg hemorrhagic fever, an infectious disease related to Ebola. Year after year cervical cancer continues to kill more women in Tanzania than any other type of cancer. For more than six years, IMA World Health—with funding from the IZUMI Foundation, American Baptist Churches (USA), Week of Compassion, the U.S. Centers for Disease Control and Prevention and private donors—has supported Shirati and other health facilities to ease the burden of cervical cancer by training health workers, providing testing and treatment supplies and equipment and creating referral linkages to larger hospitals for those who require additional treatment. Respiratory diseases from seasonal influenza takes up to 650,000 lives annually, according to new estimates released Thursday by the United Nations health agency and global partners. A new portable low-cost diagnostic test allows people to check for iron and vitamin A deficiencies within minutes. The system includes blood sample test strip that includes three types of antibodies. Carbon, a 3D printing technology company, is developing an inexpensive, easy-to-use, in vitro diagnostic device for TB testing. A new UN report warns that the growing electronic waste poses a major threat to the environment and human health. The report also highlights unsafe and improper treatment and disposal of e-waste. According to a new study the exposure to air pollution can cancel out the benefits of exercise among adults over 60 years of age. New studies suggest a link between warming of the Arctic waters and drier conditions in California. Publication of a new World Bank – World Health Organization report reveals that half of the world do not have access to essential quality healthcare, and 800 million people face severe financial difficulties because of healthcare costs. Rickets and stunted growth are making an appearance among children who are malnourished and food insecure in Britain. 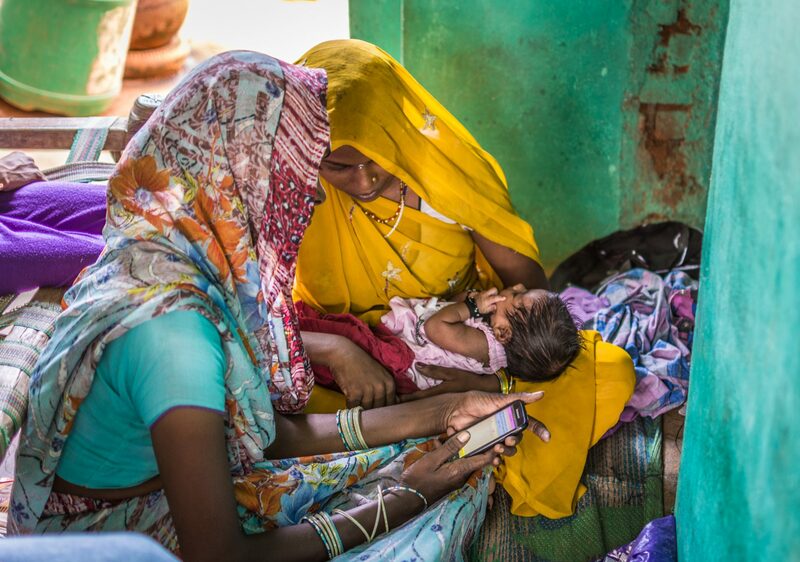 Assessment of BetterBirth India, the largest implementation of WHO’s Safe Childbirth Checklist, shows that even though many health centers adopted the checklist, there has not been any improvement in maternal or infant mortality rates. This could very likely be due to poor infrastructure and access to care. Hong kong recalls imported baby milk products after reports of salmonella infections in France. In addition to deterioration of sleep quality and quantity among children and teenagers who have smartphones and tablets in their bedrooms (even when not in use), a new study also reports that young people who spend time in front of a screen at bedtime are more likely to be overweight or obese. This is the last round up for 2017! Please share your thoughts on what you liked about the round up, how we could improve this section and what we could be doing differently in 2018.